Every couple of years I travel from Aspen to Vail by scale. It is on this route that time and time again I have realized the joys and efficiencies of travel on Voile’s Traction Pattern Base. This roughly 100 mile route, called the Benedict100, utilizes the huts of the 10th Mountain Hut System. It travels through the heart of the historic WWII training grounds of the US Army’s 10th Mountain Division in the vicinity of Camp Hale. Following this most recent trip, I decided to share my top four reasons that you too should consider channeling your inner Nordic nerd. On day two of the 2018 Benedict100, clients rally out of Margy’s Hut on a subzero January morning. 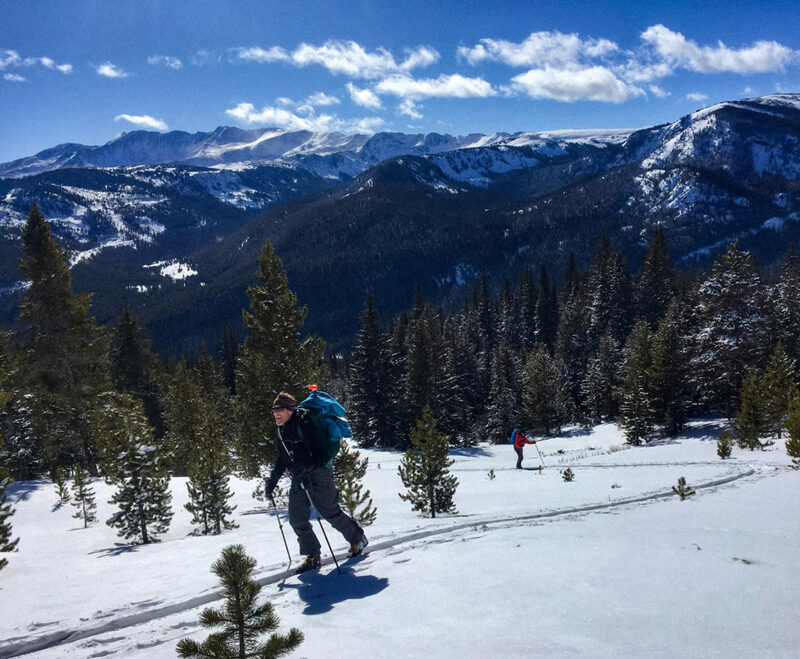 Whether it is adjusting heel elevators, changing the length of your poles, or getting your boots buckled just so, backcountry skiing is a pursuit with an alarmingly high fiddle factor. As a guide I am always looking to help my clients lower their fiddle factor and spend more time in motion accomplishing their goals. Scales are a great way to increase efficiency and lower fiddling in rolling and moderately angled terrain. Over the course of the Benedict100, it is possible to skip up to 26 skin transitions with the benefit of scales. This adds hours of otherwise lost moving time. Lower your personal fiddle factor, crush mileage and conserve energy on scales. Be it alpine meadows, rolling forests or glacial valleys, flat happens. As backcountry skiers we tend to dream about the steep bits with little regard to the flat expanse that may gobble up the larger portion of the day. Scales make short work of approach and egress in such terrain, and leave us with more energy for the marquis event. Kicking and gliding the flats away is much preferred to lugging the carpet of skins through flat terrain. This is even more evident when breaking trail. Remember, scales are not a replacement for skins on steep climbs, but they will get you to the base of the steep climbs faster. There is nothing worse than pounds of snow stuck to the skins on the bottom of your lightweight backcountry touring skis. Properly waxed skins can help, but sometimes glopping can be all but unavoidable. I will often preempt glopping by stowing the skins and going with scales when the route requires moving back and forth from wet sunny aspects to dry shaded aspects. The lack of moisture loving plush fabric and a little extra glide will keep you moving glop free. Skip the scraping and keep on scaling. In the proper conditions, scales can be surprisingly competent climbers. Though not intended for climbing on ice and refrozen spring conditions, any sort of soft or deformable snow can be an ideal medium for traction with scales. I have often gotten to the top of a climb where I anticipated needing skins only to find that scales got me there with ease. With roughly 5,900 feet of climbing, the first day of the Benedict100 is one of those days where scales excel. 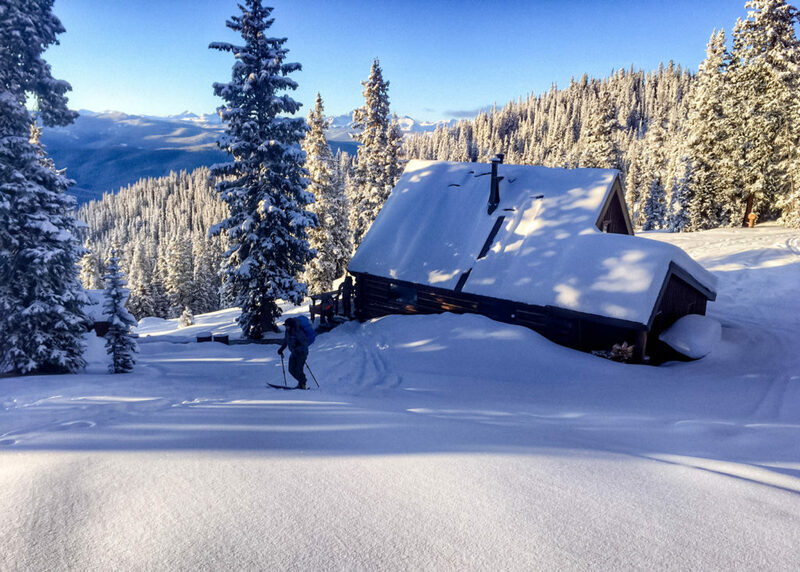 From the town of Aspen you bypass the McNamara Hut, descend to Woody Creek and then climb up to Margy’s Hut via Spruce Creek. Though I often anticipate needing skins on a few sections of this climb, I rarely end up actually using them if the snow is malleable. With the morning’s high pass (Hagerman) in the background, the team gobbles up the miles to Uncle Bud’s Hut. 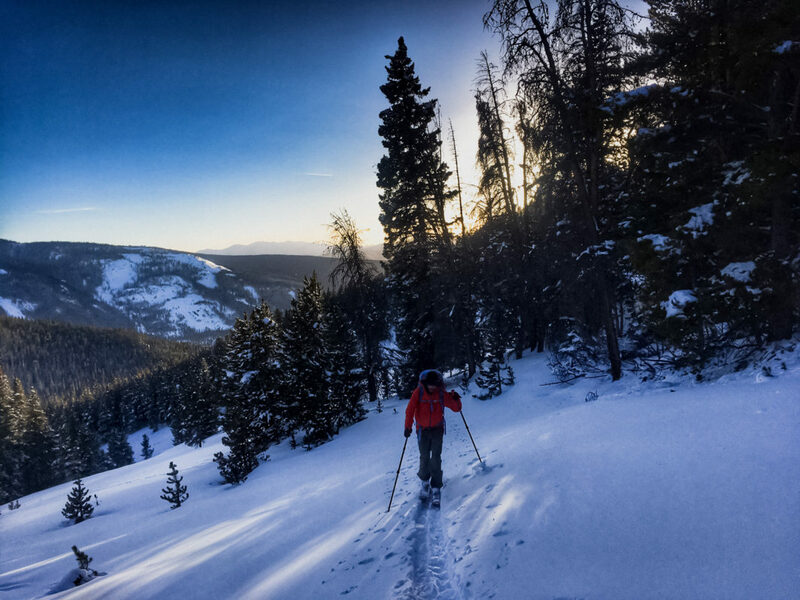 From the logging roads of British Columbia, to the old silver mining mule paths of the Rocky Mountains, to the nearly flat glacial approaches of Alaska, to the rolling forest of the White Mountains, Voile scaled skis have a home in every quiver. Get fishy, my friends. Nate grew up in Washington State near iconic Mt. Rainier and learned to ski on the slopes of the state’s volcanoes. Trading a deep coastal snowpack for the light continental crapshoot of Colorado, Nate has called the Elk Mountains near Aspen home for the last couple of decades. 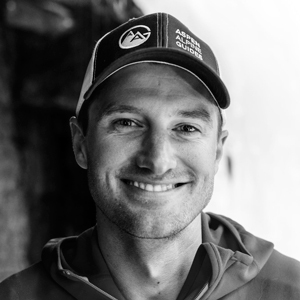 As a year round guide with Aspen Alpine Guides, he spends the snowy months ferreting out high alpine powder, ski mountaineering and linking up backcountry huts between Crested Butte and Vail. Over the years Nate has been fortunate enough to take his skis for walks in many exotic locations from Kyrgyzstan to the Aleutians.